Have you ever wondered the best makeup combination that you can have without sticking to only one brand? Lipstick, eyeshadow, mascara, bronzer, blusher, eyeliner and et cetera are not necessarily needed to be from the same brand. Sometimes, the best makeup combination comes from a different brand. A single brand might specifically good in one or two products only. Most commonly seen are the first impression of the product is important and being presentable is crucial. Wearing makeup is now trend and ladies will try their best to look bombastic even in their normal days as makeup is one of the products that can boost up their confidence. As for mascara, there are many reasons why people are using mascara which is to thicken their eyelashes, darken the eyelashes and maybe to lengthen their eyelashes. Whatever the reason is, most of the ladies will wear it as it is very simple and easy to apply. The best mascara is from Tarte. This is because Tarte is a product that uses clay as their main ingredient. Next, the foundation is the most important thing as people usually apply it first before applying the powder. Choosing and applying the correct foundation is important to make sure that our face is not greyish or uneven as the foundation colours are not matched with skin tone. Right now, the best foundation is Maybelline Fit Me foundation because the texture when applied is smooth and most importantly, it is cheap! We might need to buy the foundation in one or two months as the frequency of usage is high. In addition, lots of people aren’t aware of ladies wearing an eyeshadow, there are different meaning behind it. As for example, if a lady likes to wear a very heavy makeup, they are mostly to be said as a person who has a very high confidence. On the other hand, when a lady wears a very smooth light eyeshadow, it means that they have a soft heart and they are very gentle. 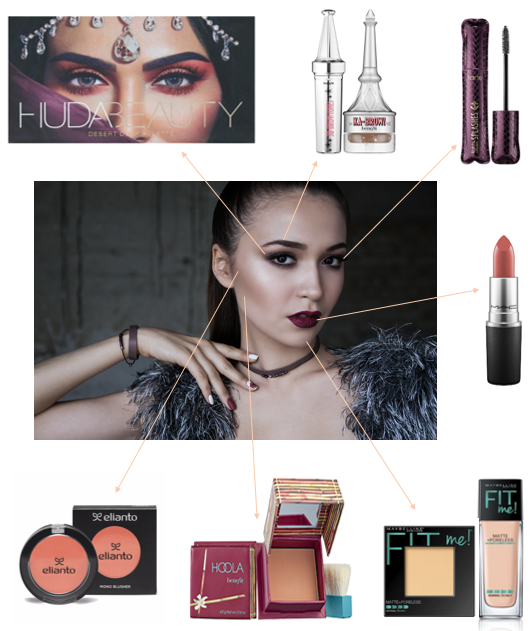 The best eyeshadow that has pigment effect is Huda Beauty. Unfortunately, this brand is quite expensive. Lastly, we have the blusher that can lift up the skin tone to a pinkish colour. I can say that blusher is very important as they bring colours to your skin. Elianto makeup blusher is so pigment! You can try if you want. For a professional makeup artist, they would say that one blusher is not enough but for everyday use, trust me one is more than enough. Okay, that’s all that I can share with all of you. Let’s be gorgeous together!